For Part 1 of this post, go here. If you’re filing in a structured file system, system, but the system isn’t giving you all the options you need, there’s a better way. There are digital asset management programs, they work, and can eliminate a lot of guesswork. You may have one on your computer already, but aren’t using it to it’s fullest potential. 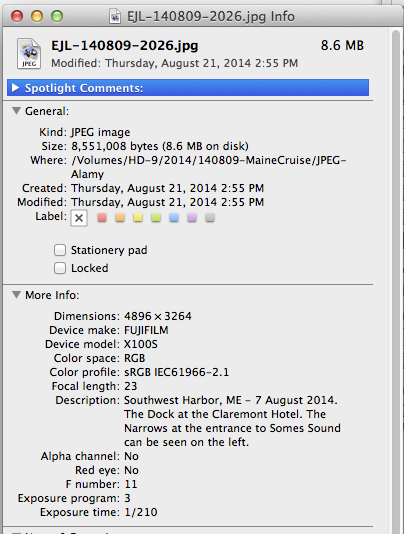 Southwest Harbor, ME – 7 August 2014. The Dock at the Claremont Hotel. 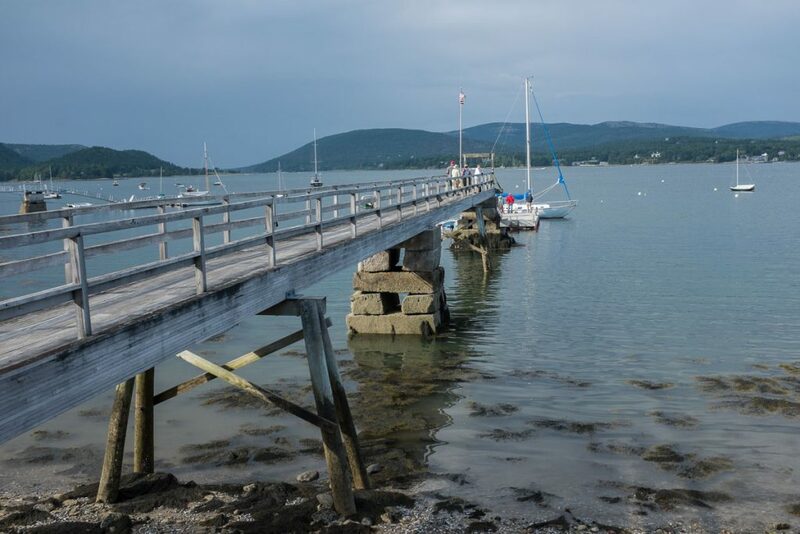 The Narrows at the entrance to Somes Sound can be seen on the left. Some of this information is easily seen by selecting the file, right clicking it, and looking at the file information. But a lot of it is visible only to programs designed to find and use it. This screenshot was from my Lightroom catalog; more on that below. 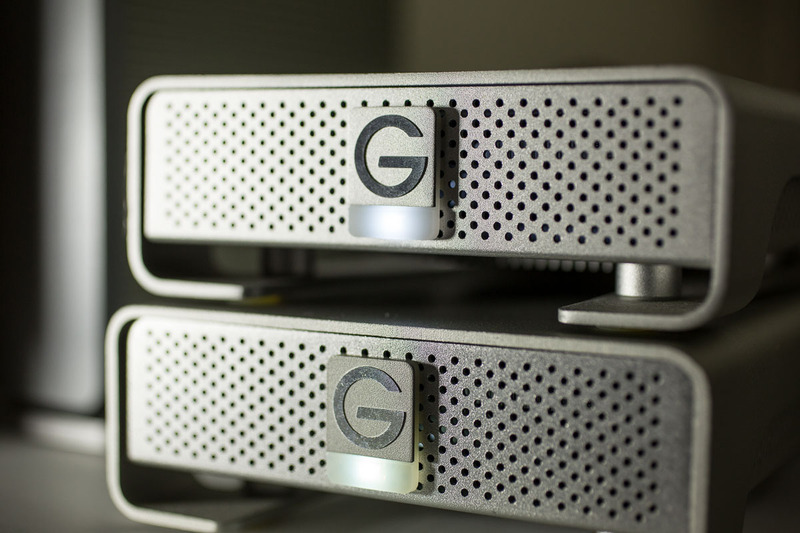 There are some free programs, including two that are included in Mac or Windows computers. Google’s Picasa works, and it’s free, although I find the interface a bit clunky for business purposes—it’s really designed for personal and family use, as are iPhoto (Mac only) and Windows Photo Gallery. Adobe’s Photoshop Elements includes both image editing and image management tools, and is also worth looking into. And ACDSee has another robust cataloging tool, and they have a compatible image editor. All of these, though, are really aimed at personal and family users, and are not ideal for business use. Adobe’s Lightroom (Mac or Windows) is a program designed for heavier duty. 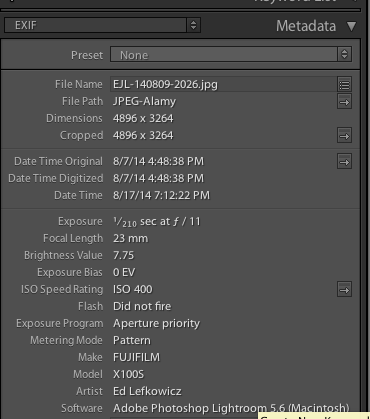 The one most widely used in the industry, and the one I use, is Lightroom. Both also will perform a great deal of image editing without resorting to more powerful and expensive image editing tools like Adobe’s Photoshop. The advantage of a management software solution is that it will read the metadata placed into the image file when it was made, tell you when it was altered, and will also allow you to add information both when you import the image to your drive and at any time later. In my system, I use the chronological file structure I outlined in Part 1 of this post in conjunction with Lightroom, so I can easily search by date, by client, by keywords, and more. Those are the basics, and should get you going. What’s the best fling solution for you? That’s for you to determine, but this should give you some ideas to get you started. You can also check out Peter Krogh’s The DAM Book, a very helpful resource. Meanwhile, if I photographed for you, I’ve got your images archived, and I can find them.